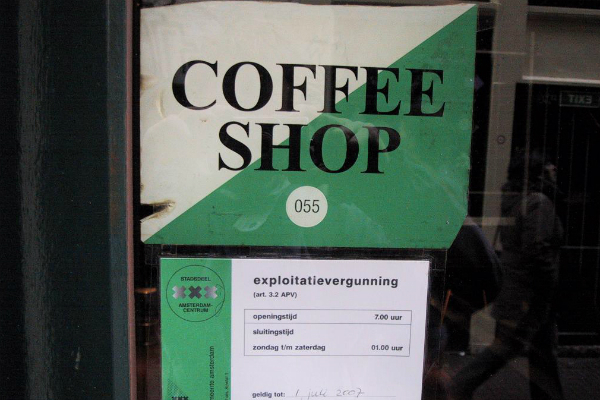 Extra security is being put in place for some of Amsterdam’s coffeeshops following a spate of shootings in recent weeks. Coffeeshop owners have also put up a €25,000 reward for information that helps track down the gunmen. Several cannabis cafes have come under fire during the night since the summer, some of them more than once. The cafes were empty at the time, nobody was injured and nothing was stolen. Police have not ruled out the possibility that rival coffeeshop owners are behind the shootings. Under security measures introduced by city mayor Eberhard van der Laan, any cafe hit by gunfire is automatically shut down. People in the trade say this may unwittingly have encouraged unscrupulous owners to resort to bullets to put their competitors out of business. Lawyer Maurice Veldman, who acts for several coffeeshop owners, has held talks with the mayor asking him to allow affected businesses to reopen after a week. Veldman said four cafes were putting security guards on the door during the night and others were contemplating similar measures. Lights are being kept on overnight and motorbike patrol teams will monitor potential targets.